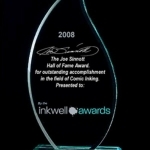 Home » .News » Did you know about the Inkwell Awards and Ms. Inkwell? Did you know about the Inkwell Awards and Ms. Inkwell? 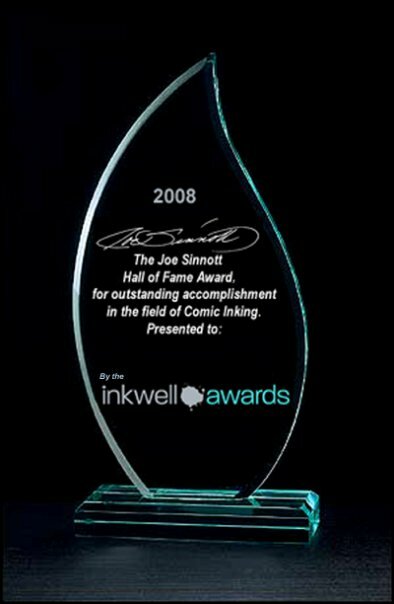 11-NOV-2011 I can’t even remember when I first heard about the INKWELL AWARDS but I can easily remember the first time I met JOE SINNOTT, comics’ greatest inker. It was October 24, 2009 when Mark Sinnott drove his father down to New Jersey for Comic Fusion’s Superhero Weekend fundraiser. Joe was so friendly and gracious. He was easy to talk to (or rather listen to) and would spend hours telling stories about his life at Marvel Comics and his love for westerns. I asked Joe to sign me in my Fantastic Four costume. He blushed but did it. Later, he sent pictures to Stan Lee, who I have yet to meet; Stan sent Joe a letter back telling him that artists have all the luck. 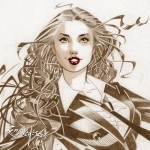 Joe let me keep that letter and a gorgeous pencil sketch of Susan Storm, one of my comic book idols. So why bring this up now in 2011? Because the INKWELL AWARDS honor creators in the dying art of inking comics with a Joe Sinnott award. It’s sad that companies are crushing artists under deadlines so tight that they feel the need to skip over the inking step. Changing contrast to an image digitally is not inking. You can do it digitally but you still need that step of selecting the appropriate brush tools and cleaning up rough pencils. The INKWELL AWARDS also held a Joe Sinnott Challenge on Facebook where penciled sketches were posted and members would ink over Joe’s pencils showing the array of interpretations that could come from different inkers’ styles. As Joe told me, a great inker fixes any mistakes in anatomy and is often not acknowledged for the vital step in making comic book art better. He said, a great inker has to be a great artist in his own right. To help with their promotions, they’ve created a mascot MS. INKWELL which is portrayed by various spokesmodels at comic conventions around the country. My friend Amy Fletcher is one of these models so I voted for her as my favorite Ms. Inkwell. You can vote at the INKWELL AWARDS. No deadline has been established yet. 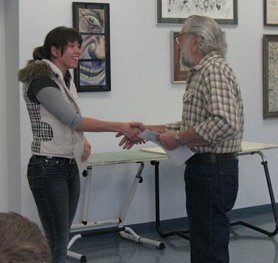 Bob Almond keeps the INKWELL AWARDS running like a well-oiled machine. There’s the website, the facebook, the twitter and the conventions. Because of the INKWELL AWARDS, I also met another artist I’m proud to call a friend Tom Schloendorn who often mans the Inkwell Awards booth with Bob and Ms. Inkwell. Tom was a great supporter to our Comic Fusion Superhero Weekend fundraiser this year with his partner in crime, Neil Vokes. There are continuous fundraising opportunities for the Awards. One of them is the annual Ms. Inkwell Gallery Book. “Like the annual Inkwell Awards Donation Drive book that collects the various donations we receive from artists throughout the year, the sale of this book will go towards our non-profit organization’s fundraising. But the art for the Ms. Inkwell book will be donated exclusively for the book with artist rendering their own interpretations of our spokesmodel character. The annual donation books get Ms. Inkwell covers so we had Franchesco do a special one for this book focusing on her,” explained Bob Almond. In case you’re wondering, I was asked to be a Ms. Inkwell and said yes, but I’m not the right size to wear the costume. They would have to one specially made for my plus-size and I think that costs a couple hundred dollars. The INKWELL AWARDS have ambassadors like Eric Basuldua, Phil Jiminez and Joe Kubert who bring more exposure and credibility to the Award’s missions. Vodka O’Clock 1711 with Brian LeTendre. Writers trying to deal with midlife. 2 Comments on Did you know about the Inkwell Awards and Ms. Inkwell? 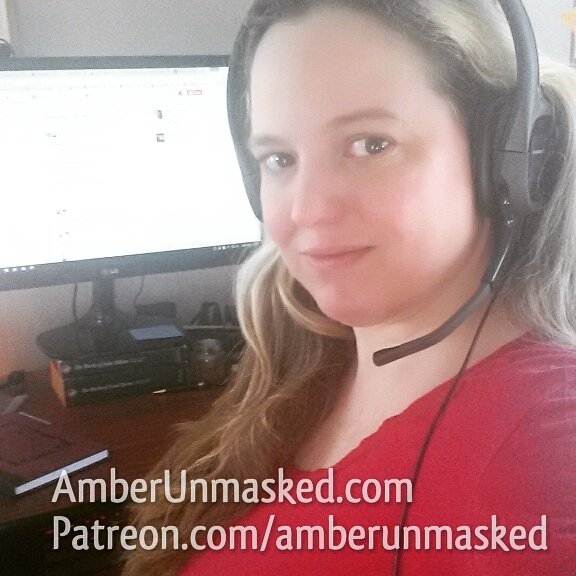 Thanks much for this thoughtful and supportive article about my non-profit advocacy, Amber. I did indeed invite you to portray Ms. Inkwell and, as we’ve privately discussed, your memory of why that didn’t play out differs from mine which was that it had nothing to do with your size at all, but was travel expenses-related (had size been an issue I never would have offered the position to you). But we’ll simply agree to disagree on that. I just wanted to present my challenge to those details for the record as we always have ordered our jackets from the same source and they have sizes up to a 10 and they cost the same as a size 0. Thanks again and happy holidays! Since you’ve aired our private debate in the open, my memory is that travel was not the only issue. You had told me the dress was a specific size. I even emailed you a screen shot from that conversation. I know as a non-profit, you don’t necessarily have funds to have a variety of official costumes which goes against the edict where you said you’d like to show Ms. Inkwell in a variety of forms. That particular show you said you couldn’t cover travel either even though the other models have had their travel covered at other shows; so I opted for a different job for that con. It seems to come down to money so maybe the sales of the Ms. Inkwell book could be used to buy costumes in other sizes so you can have a broader range of models rather than size 2 or 4 or whatever your dress currently is.